There are two distinct groups of international students that include students abroad who are interested in traveling to the U.S. on an F-1 student visa (including students who are already in the U.S. on an F-1 student visa currently studying at another U.S. school) and students in the U.S. who currently hold some other type of immigration status. International applicants may be considered for admission to GHC as a traditional or non-traditional freshman, as a transfer or post-baccalaureate, as a transient (guest) student, or in a separate category under procedures established by the University System of Georgia. In order to qualify for and obtain an I-20 (certificate of eligibility for international visitors pursuing an academic degree from a U.S. college or university) you must meet the academic criteria for admissibility as well as provide proof that funding is available to cover your living and educational expenses for the duration of your enrollment at Georgia Highlands College. Once admitted, you must follow the rules and regulations required by the USCIS Customs and Immigration Services in order to maintain your F-1 student visa status. You must meet the academic criteria for admissibility and provide proof of current immigration status. If you do not have valid immigration documents, please contact the international student advisor in the Georgia Highlands College Admissions Office on the Floyd campus. 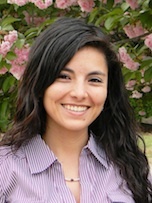 Academic admissibility is based on your previous academic performance during high school and/or completion of college coursework, exemption of learning support requirements (http://www2.highlands.edu/site/admissions#alert) as well as providing proof of English language proficiency (*if applicable). If high school is located outside of the U.S., you must submit an official evaluation from a recognized professional credential evaluation agency (see web link below for a list of recognized evaluation agencies). It is the applicant’s responsibility to request an official, original transcript evaluation to be mailed directly to Georgia Highlands College Office of Admissions and Registrar. 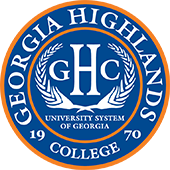 Applicants who have completed a high school program that is not accredited by a regional accrediting association (such as the Southern Association of Colleges and Schools) or the Georgia Accrediting Commission or from a high school regulated by a public school system and state department of education are required to meet alternative requirements for admission to Georgia Highlands College. If you fall under this category, please visit the GHC Admissions website to review admissions requirements for Home Schooled and Non-Accredited High School Students. It is the applicant’s responsibility to request an official, original transcript to be mailed directly to Georgia Highlands College Office of Admissions and Registrar. Students who transfer under 30 semester credit hours must meet freshman/non-traditional freshman academic criteria for admissibility and be eligible to return to their previous institution. Students who transfer over 30 semester credit hours must be eligible to return to their previous institution. Students dismissed from their current institution must sit out the allotted time (one semester for first dismissal, one year for second dismissal, and five years for third dismissal). It is the applicant’s responsibility to request an official, original transcript evaluation to be mailed directly to Georgia Highlands College Office of Admissions and Registrar. If college, university or technical school is located outside of the U.S., you must submit an official evaluation from a one of the recognized professional credential evaluation agencies listed below. For applicants whose first language is not English and applicants whose language of instruction throughout secondary school was not English, proof of English language proficiency is required. NOTE: TOEFL / IELTS may be waived using qualifying SAT or ACT scores, English 1101 or 1102 transfer credit, 4 units of college prep English earned at an accredited U.S. high school or qualifying placement testing scores. Applicants must prove exemption of learning support coursework or meet institutional placement testing standards in effect at the time of application. If not submitting SAT or ACT scores, students may sign up for placement testing through the “Check Admissions Status” link located on the Georgia Highlands College website at www.highlands.edu. NOTE: A certification of immunization signed by a licensed healthcare provider is required for continued registration (after student’s first semester of attendance) at GHC.